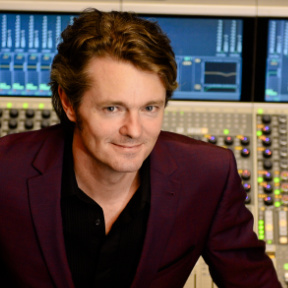 Tony David Cray balances an extraordinary career in the audio industry as a Grammy award-winning Audio Engineer, Producer, Sound Designer, Composer and Teacher. Tony worked as the Head of Recording and Broadcast for the Sydney Opera House. He has composed music for many of Australia’s top performing arts companies and is a recipient of the Churchill Fellowship. 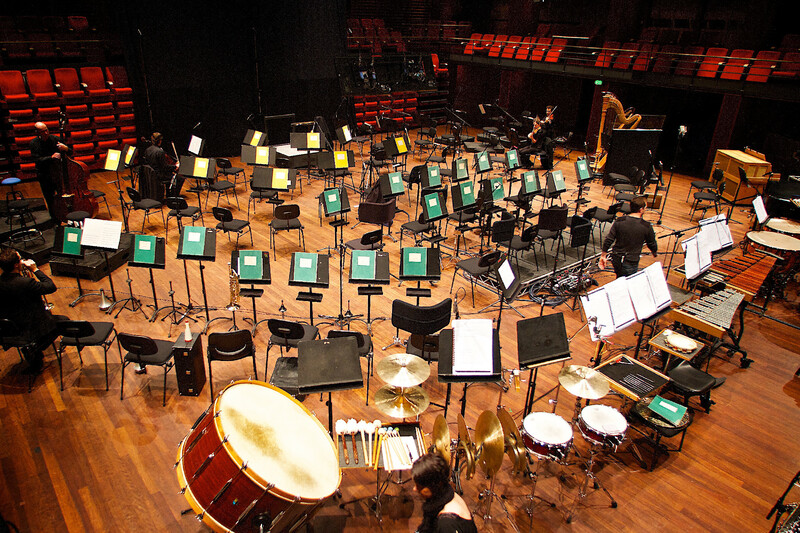 His recent recording engagements include the Sydney Symphony Orchestra, the Australian Ballet, Olivia Newton-John, Chick Corea with Gary Burton, The Cure, Lou Reed and Brian Eno. We recently caught up with Tony who shared with us some of his most recent projects and insight on how FuzzMeasure is now integrated into his workflow. Can you describe for us what your FuzzMeasure setup looks like? My FuzzMeasure setup is primarily mix-session focused, so it’s geared around my Pro Tools HD system. As part of my standard Pro Tools session template are a few channels dedicated to analysis. A channel with a Signal Generator for tone and pink noise, and a channel setup to record a calibrated reference mic input. Finally I have a standard 5 second Sweep Stimulus file generated from FuzzMeasure to allow for quick and easy testing and measuring any aspect of the present I/O, monitoring or even plugins. I simply run the Sweep through any stage of my Pro Tools session or out and through my monitors, headphones or outboard gear and back into Pro Tools. This recording is then imported into FuzzMeasure for analysis. When working away from the studio I use my MacBookPro Retina with a Sound Devices USBPre2 and a BeyerDynamic MM-1 microphone. The USBPre2 has a nice feature in that its second input can be easily set to be an analogue loopback of output channel 1. The MM-1 has been great and came with a calibration file from Beyer. I will usually align the mic preamp to a healthy level with a standard 94dB SPL 1kHz acoustic calibrator and then tell FuzzMeasure that its receiving 94dB so all my Frequency response graphs indicate real-world SPL levels. Many of our users find the graphs in FuzzMeasure invaluable. Which ones do you use and what is their importance to you? I use FuzzMeasure primarily as a way of confirming what I am hearing. Often I am in a foreign environment or perhaps tired or even worse - both! So having some real data to both inform and confirm what I am hearing is invaluable. My FuzzMeasure template will usually contain a SPL Frequency Response set to 1/12th Octave Smoothing, a Group Delay, an FFT Waterfall and an Envelope Time Curve. With these graphs I am able to quickly get an overview of what the monitors or equipment are doing sonically. I understand that FuzzMeasure was helpful with a recent outdoor project you were working on, could you elaborate for us? 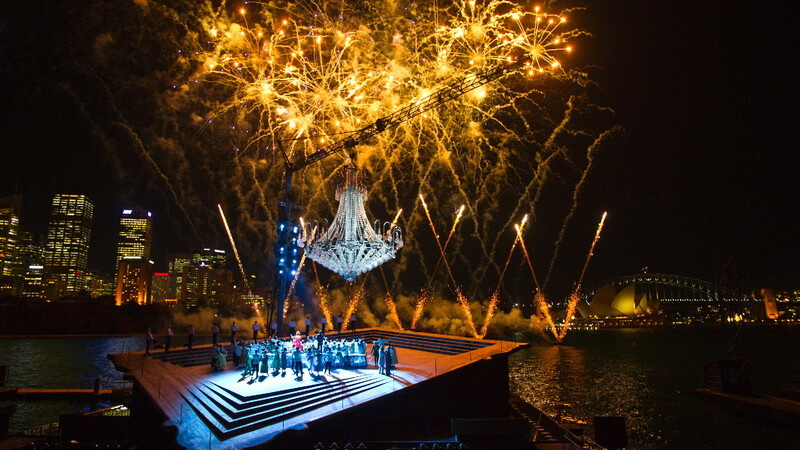 Handa Opera on Sydney Harbour is an ambitious and highly successful project created by Opera Australia. 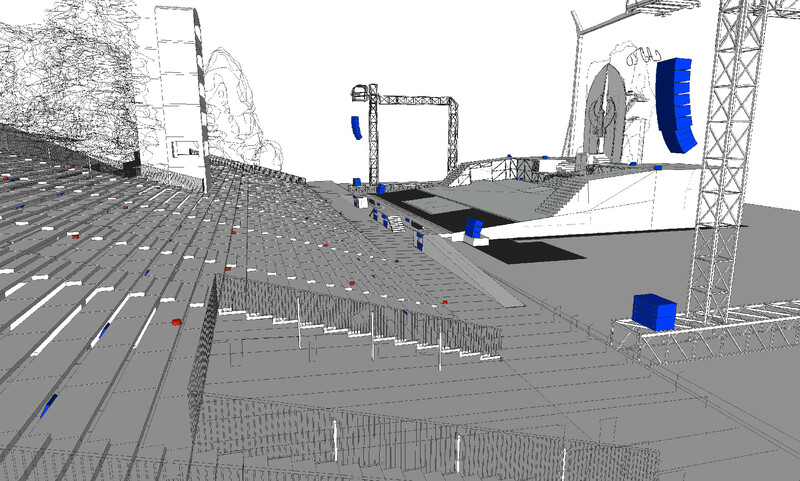 Each year a bespoke giant stage is constructed on Sydney Harbour with a 3,000 seat open air auditorium facing the stage framed by Sydney's Opera House and Harbour Bridge. It’s a spectacular event and is comprised of hundreds of singers, dancers, full orchestra and crew. The challenges the environment presents are unique. Using FuzzMeasure to generate sweeps is highly preferable at times when the background noise floor is less than ideal as well as being less disruptive to other crews who, due to the nature of the environment, have to work during our system tuning times. 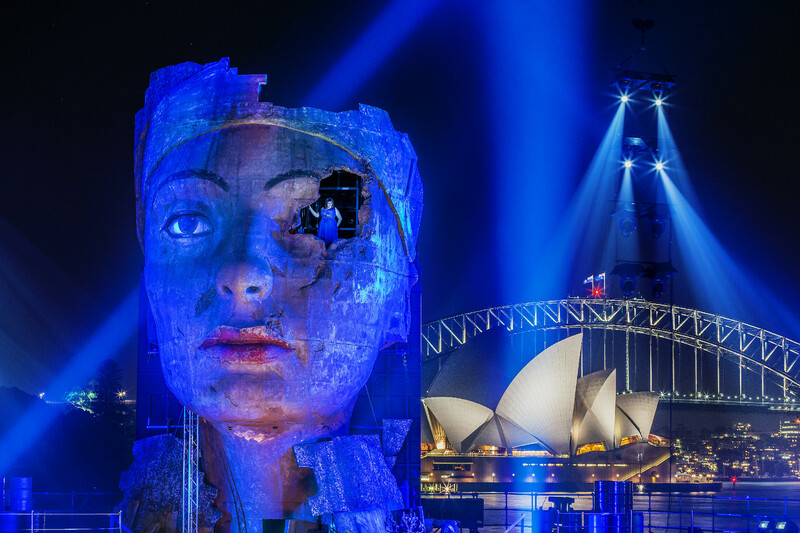 The company we have selected to deliver the audio production component for the Handa Opera on Sydney Harbour project for the past 5 years is NorWest Productions, and they use a combination of SMAART and FuzzMeasure to tune the system. Using FuzzMeasure to generate sweeps is highly preferable at times when the background noise floor is less than ideal as well as being less disruptive to other crews who, due to the nature of the environment, have to work during our system tuning times. In my role as sound designer and FOH mix engineer, I use FuzzMeasure to tune my near field monitors as well as ensure all aspects of the rather complex system are doing as I had designed. Using FuzzMeasure, I am able to calculate the latency of the console and the various components of the processing chain. I perform a lot of DSP processing in the FOH Tower that is akin to the way I approach a mix in the studio. But of course, with a live performance I have to ensure that I don’t allow too much latency to creep in. What other situations have you used FuzzMeasure for recently? With the plethora of audio plugins and tools available to us these days, I find that its useful to be able to perform some tests using FuzzMeasure and learn what a particular EQ or Dynamics processor is doing, and why I may be drawn towards it. Its fascinating to run some sweeps through tape and tube saturation plugins and see how much the are changing the sound. Generally, at some point during a session particularly in a new unfamiliar location during tracking, I will run a few sweeps in the control room and keep the results as part of the session so I may refer to them later in post production. Also, I have found that playing the sweeps through a speaker in the recording space or auditorium can help later in post as I can generate Impulses from these and then use these in convolution reverb engines to generate some reverbs that are related to the space. Can you share with us any common problems (or mistakes) people may run into when analyzing and measuring rooms? To be honest, I feel intimidated offering any position on this subject matter as I feel it is a complex and contentious topic. My experience however is that there are a number of acoustics experts who rely on the science and ignore the human experience. Then on the opposite side of the acoustics fence there are a number of audio professionals who rely too heavily on their ears and refuse to accept the science. My learning curve with FuzzMeasure has been slow and very rewarding. At first it was comforting to see the results of measuring rooms and monitoring I have trusted and found productive. What we may think of as a flat system may look like the outline of the Swiss Alps. Applying some severe EQ or DRC (Digital Rooms Correction) to flatten the response will certainly make it look more pleasant in FuzzMeasure but the results will most likely sound horrific. Using FuzzMeasure, I am able to assess quite quickly whether there is something wrong with the timing or crossover points of the various monitoring elements. Then the frequency response graph set to a high smoothing (1/6th) will reveal the overall spectral trend of the system. This can be helpful to inform the spectral balance of a mix. Are there any other types of projects you work on where FuzzMeasure has been useful? For the past few years, I have worked as audio director on a number of full-length cinema release projects of live performances, some of which are operatic. To ensure there is consistency from day to day of the mix, I have taken to performing a sweep of all the monitors in the 5.1 setup to ensure they are within spec and at the appropriate mix level. With FuzzMeasure, this only takes a few minutes in the morning and is a nice early morning ritual that ensures at least one element is not going to cause me problems later on in the day. Performing a sweep of all the monitors […] is a nice early morning ritual that ensures at least one element is not going to cause me problems later on in the day. Recently, I have been employing the same process for when circumstances dictate I need to do some pre-mix work on headphones. The process looks a little ridiculous, but placing the reference mic at my ear and then my Sennheisser HD-650-’s over both the mic and my ear. I am able to get a reading that I can use to calibrate my monitoring level from session to session. It’s obviously not an absolute spectral reference, but it allows me to quite accurately set the SPL in my headphones. What is it about FuzzMeasure that you like compared to other acoustic graphing apps? The very first time I saw FuzzMeasure, I breathed a sigh of relief because now Mac users finally have a serious audio analysis application that looks and works like a native OS X application. It wasn’t ported from the PC platform, or written in some abstracted language like Java. It looks gorgeous, is professional and is a pleasure to use. What do you especially like in the new version, FuzzMeasure 4? The ability to have multiple graphs preset in FuzzMeasure 4 for a measurement session is wonderful. I have a few template files that I start from regularly. With this, it gets me to the point of measuring very quickly.